The Challenge: Finishing 24 pages… and surviving! Ever wanted to create your own comic? Believe us, you can! 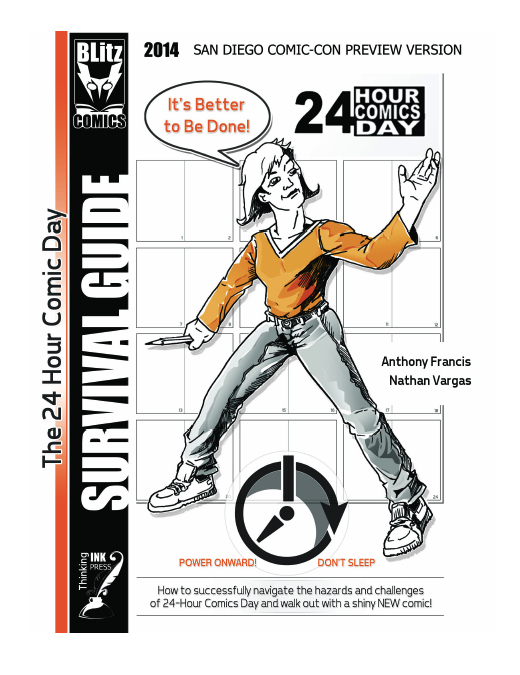 24 Hour Comic Day is a worldwide challenge to create a new comic in 24 hours, and this guide will help you not just survive, but succeed! Preparing your mind and body for the best chance of getting to the end without falling asleep in the middle. Packing effectively so that you’ve got the art materials, food — and toiletries! — you need to survive the event. Using time effectively—finishing pages in 45 minutes, avoiding time traps, and checking your progress regularly. Getting the most out of your venue by being a good comics citizen (and how to deal with the bad apples). Jumpstarting your story with idea generators, story webs, and plot line tools that help you identify conflict. Organizing your art to fill 24 pages, to communicate within the page, and to deal with tricky drawings (hint: cheat!). 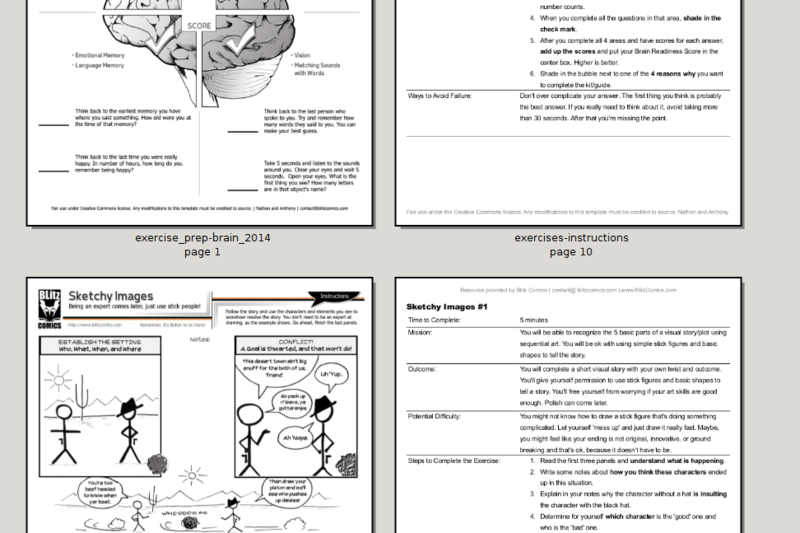 Download a preview of some of the exercises, which won’t be available in this format anywhere else, by signing up for the 24 Hour Comic Day Survival Guide Newsletter. The newsletter isn’t so bad, either: we’ll be sending previews, early news, and possibly even discounts to future books and events.